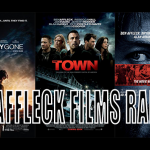 Starring: Ben Affleck; Henry Cavill; Amy Adams; Jesse Eisenberg; Laurence Fishburne; Gal Gadot; Holly Hunter; Jeremy Irons. Plot: Batman and Superman are at odds over the morality of their roles on Earth as Lex Luthor develops new tactics to ensure the feud is as destructive as possible. The first true crossover in DC’s Cinematic Universe has arrived in the shape and form of Zack Snyder’s Batman v Superman: Dawn of Justice which features an all-star cast that includes Ben Affleck and Henry Cavill in the titular roles. With Christopher Nolan’s Dark Knight trilogy leaving such an indelible mark on the superhero genre, and particularly the Batman character, the anxieties of many a superhero movie/comic book fan were at an all time high. But, courtesy of some excellent performances and a change in approach that has removed the film from the others that have come before it in terms of its visual style and themes, Batman v Superman was a superhero event movie to remember that managed to successfully showcase its actors’ talents, pay a great deal of fan service and ultimately surpass its predecessor Man of Steel (2013). Director Zack Snyder is perhaps best known for his work on graphic novel adaptations 300 and Watchmen, as well as the debut of Henry Cavill’s Superman in Man of Steel. 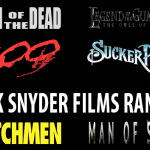 With each passing film, Snyder has undoubtedly left his imprint on the movies with an eye-catching ‘style over substance’ type of approach that, despite its faithfulness to the original material, has left many a fan and critic calling for more exploration of key themes and issues. In Batman v Superman, Snyder’s style was, again, very much apparent, though the key themes and the presentations of such themes were definitely more intricate and well handled than in much of this director’s previous work. One of the biggest criticisms made towards the film by other critics and those using social media is in how it dealt with Batman; particularly how he is supposed to be a hero intent on not killing anyone. As was the case with Man of Steel, Dawn of Justice was very much a destructive film despite its best intentions to explain how ‘the buildings are largely empty’ on many an occasion. Batman was a contributor to this destruction with one particular chase scene providing an action set piece that flipped cars, dragged upturned cars, and was ultimately ended by a gas explosion. Similarly, a gun fight was won by the caped crusader via many a circumstantial explosion, which certainly wasn’t in-keeping with the Dark Knight’s lore. But this was exactly the point! Batman is the product of his world, and when that world is invaded by a species as powerful as the Superman, and the threat of ultimate destruction so high, the Dark Knight has to evolve in order to protect, and in this case he is a little more loose with the rules without completely throwing them out of the window. Snyder proved with this slight evolution of the character through the support of action set-pieces (of all things) alongside the script, that thematic issues need not take a back seat, specifically in a movie so much about the characters as opposed to the brand, as was the case here. Reinforcing this point was the story arc that accompanied Superman, who was motivated by his never-ending love for both Lois Lane and his family, and ultimately torn about whether being the Superman was the right thing to do. This left him an unfocused and emotional hero who was often exploited by both Batman and Lex Luthor, meaning the story was, together with Batman’s arc, reminiscent of the themes confronted by Snyder in his work on Watchmen; that of heroes being shades of grey instead of all-powerful and all-good as has often been the case with the black and white comic book movie genre. Snyder also proved that he was adept at presenting a post 9/11 movie confronting themes such as terrorism with a frightening likeness. The famed ‘Bruce Wayne running into the dust of a falling building’ sequence from the trailer was perhaps the best example of this as, in the first couple of minutes of the movie, Snyder invited the mind to associate with Wayne’s travelling vehicle and thus created an association between the direction Wayne was going in and the oncoming plume of smoke that was to engulf him. This made the engulfing all the more effective as a frightening moment and invited empathy towards the victims of Superman’s fight with General Zod in Man of Steel, therefore instantly placing Superman in the role of antagonist. Later in the movie, Superman himself was subject to such terror courtesy of an out-of-nowhere bomb explosion that resulted in the death of dozens if not hundreds around him, somewhat reversing Superman’s role back to protagonist. It was, at face value, presented in order to frighten, but underneath the aesthetics were deeper themes again regarding the not so black and white nature of the movie’s chief characters, Lex Luthor included. In keeping with these developments and the neat ways in which they were stitched together were Snyder’s moments of fan service. 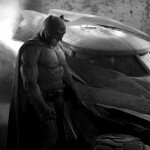 Though they may have left casual audiences in the dark regarding their significance, there’s no doubting that the small nuances of the mise-en-scene were truly in-keeping with the famed comic book and graphic novel covers of Batman and Superman comics of yesteryear as well as audience expectations of secondary characters not yet introduced to this particular DC Universe. This made for an exciting watch with many a twist and turn that kept the long run-time of 2 and a half hours seem a great deal shorter and a whole lot more meaningful than in Man of Steel. One of the strongest qualities of the movie was the way in which it stayed focused on the central characters Batman and Superman despite it sporting such an array of famous comic book names in supporting roles. This did, however, create an increased level of pressure on the often criticised Henry Cavill and the controversial Ben Affleck, both of whom stepped up their game to carry the film with an effectiveness that was both engrossing and admirable. Cavill was particularly strong in the more emotional parts of his role which was in stark contrast to his not so impressive feats in this movie’s predecessor, but Ben Affleck was truly the master of the pair. Affleck’s grinding-teeth, slightly pinched eyes look was exactly what you’d expect a dark and damaged vigilante to look like, and would have been the performance of the movie were it not for the supporting performance of Jesse Eisenberg as Lex Luthor. Eisenberg’s Luthor was perhaps one of the most prominent of all the well placed secondary characters as he was the lead antagonist for the most significant parts of the movie. His performance presented a character who was dealing with real issues of psychosis and psychopathy, and did so with such a watchable gusto that it lit up the screen per his every appearance. Perhaps just as importantly, Eisenberg helped to modernise this famous super villain from its routes as a middle-aged power hungry corporate menace to that of a modern CEO with brains, guts, something to prove, and importantly with regard to juxtaposing Batman in particular, youth . He was scene-stealing from the moment he debuted and it truly was a pleasure to watch. Gal Gadot’s Wonder Woman made her big-screen debut and was given a role that was able to present her as hugely important without stealing the purpose of the whole movie (to build the new Superman and Batman) ahead of her standalone due in 2017. The Israeli born actress was effective in the role and certainly showed a star quality needed for leading such an important superhero movie as her standalone, but in Batman v Superman it couldn’t be helped but to create a likeness between her relationship to Bruce Wayne and the relationship Anne Hathaway’s Catwoman had to Christian Bale’s Bruce Wayne in The Dark Knight Rises. Significantly, Amy Adams’ Lois Lane remained a key character for this Man of Steel sequel and was therefore a prominent character too, despite how writers and producers may have been forgiven for slashing her role under the pressure of creating watchable and identifiable Batman, Superman and Wonder Woman characters, each with superior abilities (or equipment) when compared to the average human being. Crucially, this ensured that there remained a portal into the supernatural and fantastical world of the superheroes for it is through Lane’s eyes that a true association can be made with the brutality of what is at stake; though it did seem like the movie was somewhat at odds with itself regarding the strength of the Lane character who at times was incredibly powerful and self-motivated and at other times was the typical damsel in distress she is famed for in comic book lore. Perhaps the biggest criticism that can be thrown at Batman v Superman: Dawn of Justice is that it’s not funny enough for a movie of its type. 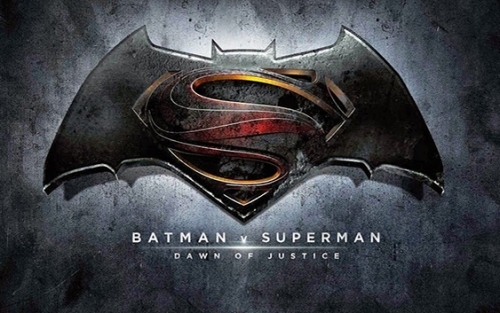 Though the Dark Knight trilogy proved that a darker and ultimately more adult and serious superhero movie can be financially successful and critically acclaimed, Batman v Superman’s transition away from that style of filmmaking and into a more universal appeal through the creation of the DC Cinematic Universe created expectations of the movie being more like the MCU (Marvel Cinematic Universe) with its touches of comedy, something that BvS almost completely lacked. Though I feel that the serious nature of the movie was one of the more enjoyable aspects of the picture due to how it appeared to confront darker themes and more contemporary issues with more clarity than the more light-hearted pictures of the genre, there was room for a few more laughs and this will likely turn casual audiences away from the prospect of seeing the film. Perhaps just as importantly with regard to the reception of the film by casual audiences, Batman v Superman can be quite exclusive in terms of its easter eggs, unnamed secondary characters (that are of huge significance if you know about them and the plans DC/Warner Bros have for the Universe), and the way that the entire plot assumes you already know about Lex Luthor and his role in other Superman movies/comic books. It gives off the aura that you have to be a part of that exclusive comic-book club to truly follow the movie in all its glory, which is great if you know your stuff but not so much if you’re a ‘newby’ or have only seen one or two DC comic book movies. From a technical stand-point there were a few things that weren’t quite as excellent as the rest of the picture, which was technically outstanding (particularly with regard to its presentations of Metropolis and its Hans Zimmer soundtrack) for such long stretches, including some graphical work that caused confusion regarding who was fighting whom where – something that must be considered key for an action movie – and the insistence that locations, dates and times be written across the screen to save on ‘proper’ storytelling techniques. Further to the point regarding the script, Dawn of Justice was laden with dream sequences that seemed like cheap ways to get the motivations of its chief protagonists across and were of such a high number that it left you questioning whether later fights were actually dreams or not. In conclusion, Batman v Superman: Dawn of Justice is certainly one of the better entries to DC and Warner Bros’ cinematic partnership and is of such an improvement on Man of Steel that credit has to go to where credit is due. Eisenberg is the stand-out of a cast that was performing at a very high level to portray characters who were each written effectively and appropriately for vast periods of the film and Snyder’s work in the director’s chair is clear and present to see without being overwhelming as has been the case in the past. There simply isn’t a better way to start 2016’s Summer blockbuster season or DC’s Cinematic Universe.